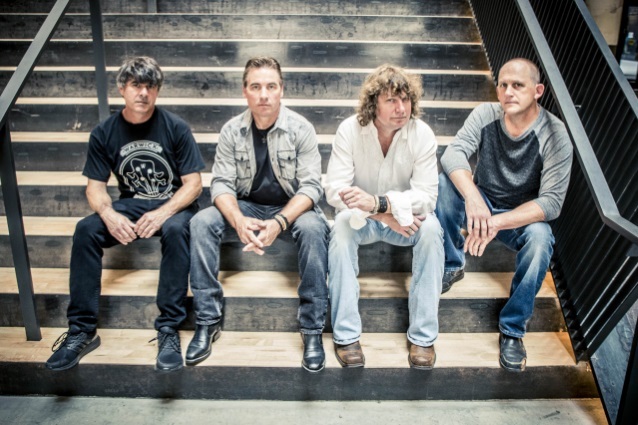 Frontiers Music Srl has announced the signing of Memphis's TORA TORA. The band will commence recording a new studio album in 2018 for a tentative release in early 2019. TORA TORA's mixture of hard rock with its hometown's legendary blues style put the group in a class of its own and the label was thrilled to find the band was open to creating new music. Says vocalist Anthony Corder: "TORA TORA is proud to announce we have signed with Frontiers! With a rich musical heritage and focus on quality content, we feel their company culture is the perfect fit for our project. We are excited to join some of our favorite artists and friends on their international roster. Thank you to Serafino Perugino, Mario De Riso and Nick Tieder and our entire Frontiers family for this opportunity. We are looking forward to creating some great music and many good memories with all of you!" Comments guitarist Keith Douglas: "When we first started talking about a new TORA TORA project, the biggest question for us was what it would sound like after so much time had passed since we'd written together. After just one day of collaborating, it was clear we were going to pick up right where we left off so many years ago. We have some really good songs already written as well as a ton of other cool ideas to get sorted out. Having creative freedom is a huge bonus for us. As far as the direction, it's just going to be whatever comes out. But I can tell you what has come out so far rocks as hard as anything we've ever done and lets our Memphis roots shine through. We are very excited to be working on what we feel like is going to be a very special record and just as excited to be working with Frontiers Records. Stay tuned!" TORA TORA reunited in August 2016 for a benefit concert in Memphis to help bassist Patrick Francis, who was diagnosed with cancer. Footage of the show has since been released on Blu-ray.